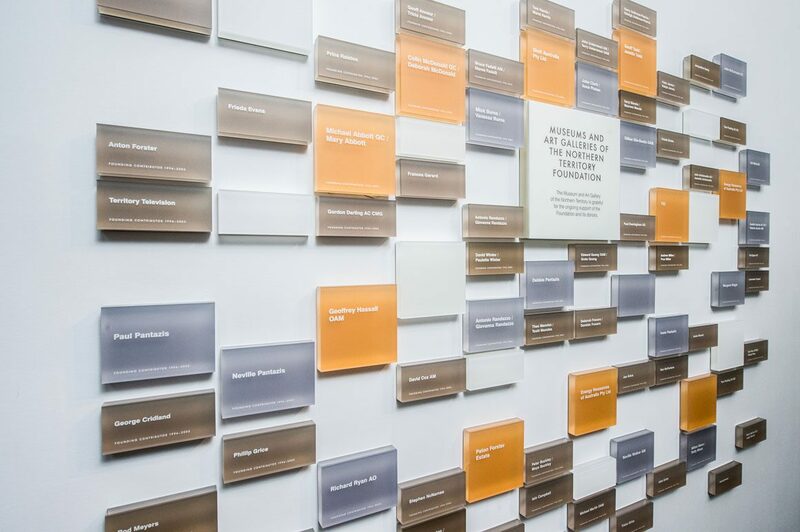 The Museum and Art Gallery of the Northern Territory requested an updated donor recognition wall that would highlight the different donor categories, interest visitors in donating, and allow for updates and additions in the future. 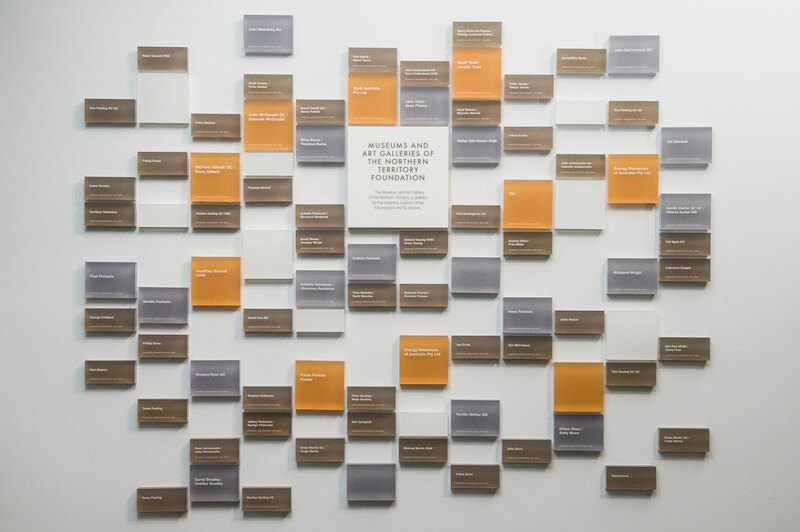 Working with Maria Mosquera Design + Illustration, Design Community developed a grid system to lay out plaques of different sizes and colours. The chunky layers of licorice allsorts were the inspiration for the look and feel. A thick layer of clear acrylic backs each coloured, frosted acrylic face. The two layers creates an enticing, tactile display that has a presence on the wall. 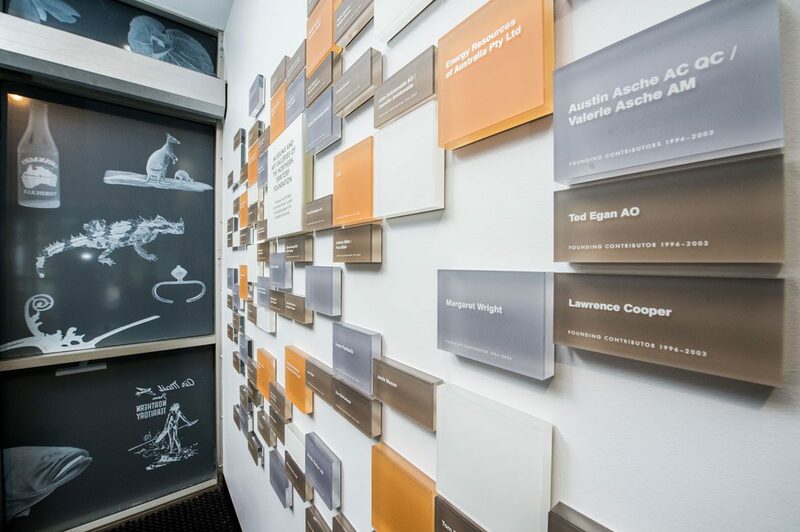 We used gold, silver and bronze for existing donors, while blank white plaques denote a “your name here” invitation. We deliberately left negative spaces within the grid; new plaques are easily added as donations come in. The effect is enticing, sophisticated and unusual. It positions MAGNT as a truly contemporary organisation.